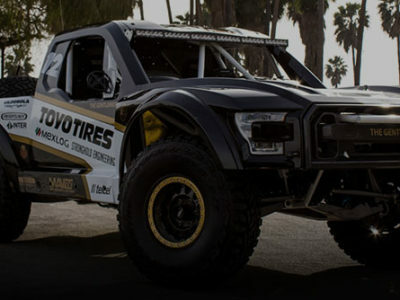 You are here: Home / Uncategorized / “Legendary” Win At 50th Annual Baja 1000. 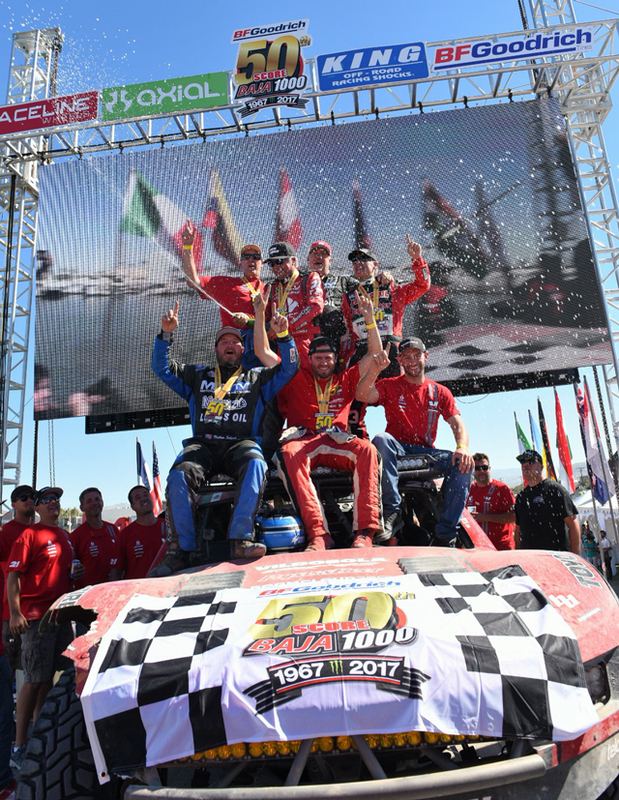 Gustavo Vildosola, Rodrigo Ampudia, Scott Bailey and Mike Coleman win 50th Annual SCORE Baja 1000 in Trophy Truck Legends Class. 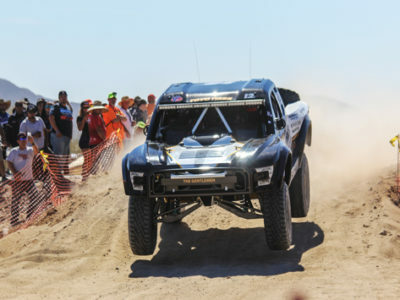 After a grueling and adrenaline packed race from Ensenada to La Paz, the #21 Vildosola Racing Ford / Toyo Tires / Lucas Oil / Mexican Logistics / Stronghold Motorsports Trophy Truck crossed the finish line at 23:43:38 to take the win in the first ever Trophy Truck Legends Class. 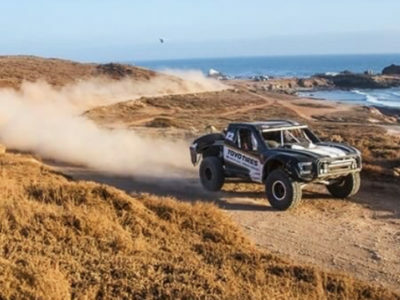 The 2017 Baja 1000 welcomed the new Trophy Truck Legends Class for the 50th Anniversary race, requiring all drivers to be at least 50 years of age. 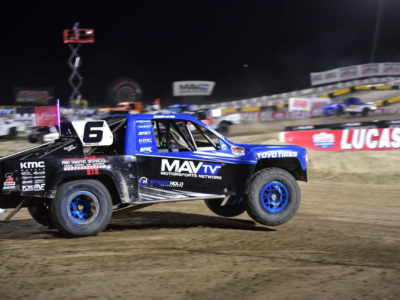 Scott Bailey along with Gustavo Vildosola, Rodrigo Ampudia and Mike Coleman made an extraordinary team effort to put the #21 Trophy Truck across the finish line. Gustavo Vildosola started the race in the 20th position but used his 300 mile section to make a solid run and advance positions before handing over the #21 TT to Rodrigo Ampudia. Rodrigo continued on the team’s momentum, maintaining a quick pace to hold onto their position. 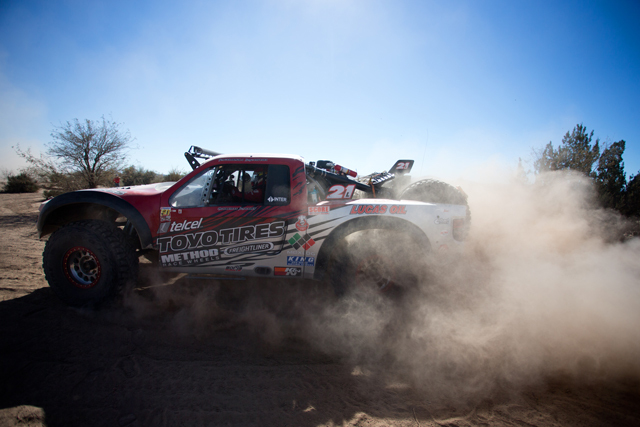 At mile 540, the team’s third driver Mile Coleman took over the wheel where he successfully held onto their position after battling through the thick fog from San Juanico to Loreto. The fourth and final driver, Scott Bailey would take over at mile 835 continuing a firm pace all the way to the checkered flag in La Paz. 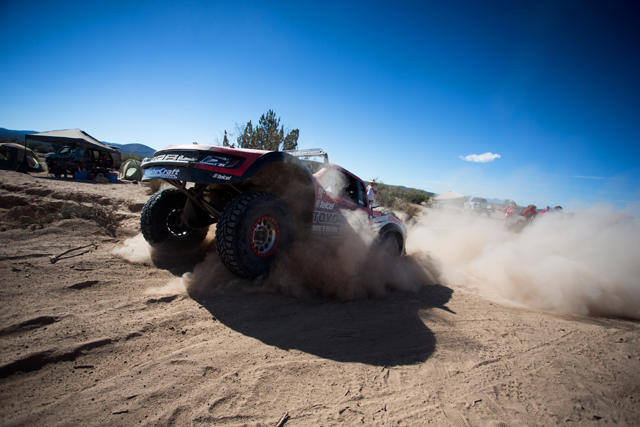 A huge victory for the team to be the first to win the TT Legends class at the Baja 1000. “It’s awesome man! 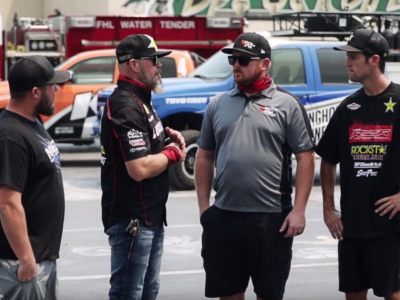 It’s really exciting to have two Mexican Nationals and two Gringos down here teamed up and for us to be able to do it like we did is pretty incredible and we are excited.” – Stronghold Motorsports; Scott Bailey at finish line in La Paz.